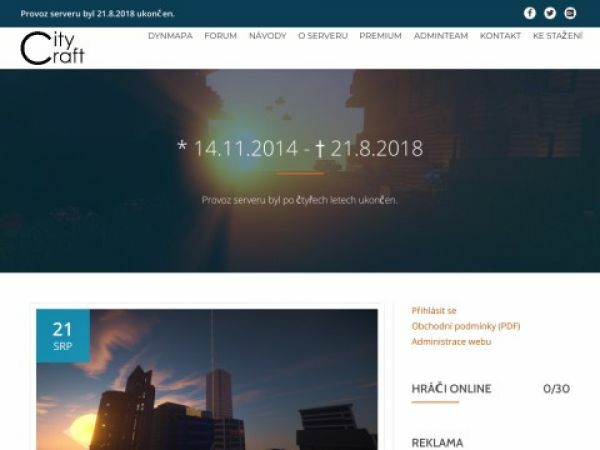 Jak moc je citycraftcz.eu hodnotný? % The WHOIS service offered by EURid and the access to the records % in the EURid WHOIS database are provided for information purposes % only. It allows persons to check whether a specific domain name % is still available or not and to obtain information related to % the registration records of existing domain names. % % EURid cannot, under any circumstances, be held liable in case the % stored information would prove to be wrong, incomplete or not % accurate in any sense. % % By submitting a query you agree not to use the information made % available to: % % - allow, enable or otherwise support the transmission of unsolicited, % commercial advertising or other solicitations whether via email or % otherwise; % - target advertising in any possible way; % % - to cause nuisance in any possible way to the registrants by sending % (whether by automated, electronic processes capable of enabling % high volumes or other possible means) messages to them. % % Without prejudice to the above, it is explicitly forbidden to extract, % copy and/or use or re-utilise in any form and by any means % (electronically or not) the whole or a quantitatively or qualitatively % substantial part of the contents of the WHOIS database without prior % and explicit permission by EURid, nor in any attempt hereof, to apply % automated, electronic processes to EURid (or its systems). % % You agree that any reproduction and/or transmission of data for % commercial purposes will always be considered as the extraction of a % substantial part of the content of the WHOIS database. % % By submitting the query you agree to abide by this policy and accept % that EURid can take measures to limit the use of its WHOIS services % in order to protect the privacy of its registrants or the integrity % of the database. % % The EURid WHOIS service on port 43 (textual whois) never % discloses any information concerning the registrant. % Registrant and onsite contact information can be obtained through use of the % webbased whois service available from the EURid website www.eurid.eu % % WHOIS citycraftcz.eu Domain: citycraftcz.eu Registrant: NOT DISCLOSED! Visit www.eurid.eu for webbased whois. Technical: Organisation: WEDOS Internet, a.s. Language: cs Email: domains@wedos.com Registrar: Name: WEDOS Internet, a.s. Website: http://hosting.wedos.com Name servers: ns.wedos.com ns.wedos.cz ns.wedos.eu ns.wedos.net Please visit www.eurid.eu for more info.